← Congratulations to Ab Jelle! Congratulations to Yuchan and Kulbir! 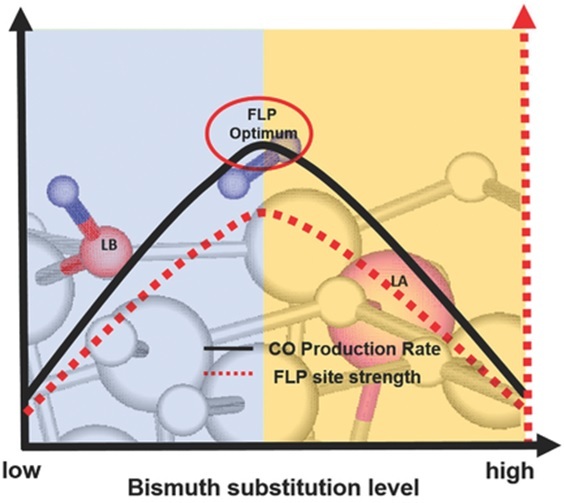 The excited state acidity and basicity of the surface frustrated Lewis pair, in oxygen vacancy and hydroxide defect-laden BizIn2-zO3-xOHy, can be chemically tailored, by controlling the level of isomorphous substitution of Bi(III) for In(III) in the Bixbyite crystal lattice. This makes it possible to optimize the catalytic performance of the solar powered reverse water gas shift reaction, CO2 + H2O –> CO + H2O. The full article can be read on the Advanced Science website.